The Warrior of Rome series is a set of novels of the later Roman Empire (mid 3rd century AD) revolving around a man who is as much barbarian as he is Roman. Marcus Clodius Ballista is a member of a Germanic tribe who has long since been married into the Roman aristocracy. He is a Roman military officer with a barbaric background. He is also the man who took the life of an emperor in one of the many bloody usurpations of the mid 3rd century. Ballista is loosely based on a shadowy figure of real history about whom very little is truly known. Ballista is one of the most engaging characters in the world of Roman fiction, especially when his extended familia are taken into account. He manages to give us both the insider and the outsider’s view of almost every facet of Roman society, which is fascinating. 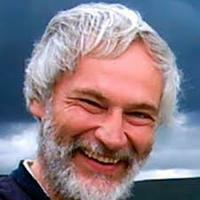 His wife, being truly old nobility, gives an even better and slightly different Roman view, as do the Scottish and Irish barbarians who accompany him. Indeed, every new character Sidebottom introduces who gets a visible thought process gives us a new view, and for that alone these books should be valued. And as an aside, I took book 5 of this series on audio, and the accents give it some extra level the text could never manage. So kudos there for the audio versions. If I have one criticism of Sidebottom’s books it is the tendency for ‘info-dump’. This is particularly noticeable in the first book. But in honesty I suspect it is natural and unavoidable, since Sidebottom is a lecturer in ancient history at Oxford. He is one of the most knowledgeable men in the business, and slipping even a single percentage of his knowledge into his work would result in info dump. In some ways it is fascinating. I study Rome on a daily basis and learn everything I can, yet nary a chapter goes by without me noting something down, impressed with what I’ve just found out. Yet despite the wonderful looks we get at the Roman world, and the amount we constantly learn by reading Sidebottom’s work, the prime concern of a writer of fiction is to entertain. I enjoyed the first Warrior of Rome book, but found it slightly harder going perhaps than some other writers in the genre. Still, it was grabbing enough that I moved onto book 2, and with that I was dragged unstoppably into Ballista’s world. Book 2 for me began the rollercoaster. So whether you love book 1 or not, don’t stop. Believe me. Sidebottom’s writing, while good from square one, improves over the first three books until it reaches an optimum point, for me, at about that point. From then on he has become one of my favourite writers of Roman fiction, and Ballista has become one of my favourite characters. The author’s descriptive has blossomed into a thing of beauty, his action scenes are breath-stealing, his plots are tight and never flap loose, and his character interaction has become familiar and realistic. In short, Sidebottom is as good as they come. This first book in the series (Fire in the East) revolves around a city named Arete, situated by the Euphrates, to which the perpetually unpopular Ballista is dispatched by the emperor Valerian . His remit? To defend Arete against the Persian King of Kings. The book is a siege in its entirety, and takes some time to build. The characters by whom Ballista finds himself accompanied in Arete add a great deal to the joy of the book. I won’t spoil the plot for you, but to be honest, in this volume it is tension and style that drive. The plot is fairly basic in its bones, though there is some interesting side action produced by potential treachery from within. It is hard to read this book and not learn something about late Roman siege warfare. I once read a treatise on Zeugma and chemical warfare and this book makes oblique but heavy reference to that situation. By the end of it, I suspect you will be looking forward to seeing what Sidebottom can do with Ballista in other situations. Book two (King of Kings) is, for me, when the Warrior of Rome series truly takes off. Sidebottom is beginning to settle into his style, the info dump of book 1 has become more subtle and the story more rich and complex. This is the tale of Valerian and his ill-fated war with Shapur, the King of Kings. I knew what was coming here, being familiar with Shapur and Valerian’s history, and yet the foreknowledge of what was coming did not ruin the tale, which is one of war and politics so tightly entwined that there is no separating them. In this book, Ballista makes new enemies both within and without the empire. It ends on something of a climax, so we knew book 3 would be good. Also, with some direct exploration of the Christian persecutions, this book spends some time exploring theological values and their importance. This is the first time I saw Sidebottom exploring a new theme as a subtext. It was not the last. Book three (Lion of the Sun) is where Sidebottom has truly settled into the series. In the absence of Valerian, while his son Galerius rules in the west, traitors rise to the imperial purple. Traitors who know Ballista and know how to use him. The plot of this book is, in honesty, a little tangled, as we are sent all over the place along with Ballista, given various tasks and kept over busy. Throughout it, we are screaming at the hero to do something about his ridiculous situation. His family is being used as leverage to set him against the rightful emperor, after all. But rest assured, as the book winds slowly towards the conclusion, Ballista begins to turn things around. He has a subtle plan and before you realise what he is moving to solve all his problems. Clever, Sidebottom. Clever. Book four (The Caspian Gates) sees our hero thrown into a border region by the emperor, keeping him out of the way. It is a masterpiece in Machiavellian politics, as Ballista is sent to save those he has already wronged, slept with and generally messed up. Ballista is being used, and it is the best he could hope for. What results is an impressive siege and control situation that puts the siege of Arete from book 1 into perspective. This book is the moment I realised that Harry knew as much about the non -Roman world as he did about the Roman. It is an exploration of local politics that I cannot imagine is less than mind-boggling for a man who wasn’t there at the time. It is an immensely satisfying book, bringing old demons into the mix. Oh, and if you’re a lover of Jason and Argonauts, this book will carry you over old ground. Book five (Wolves of the North) sees Ballista sent to the Steppe regions in trans-Black Sea Russia. Here, the tribes are troubled, and Rome seeks peaceful accord with them. But Ballista is sent to treaty with the Heruli and discovers that there is a politic world well outside that of the Imperium. Best of all (and something that makes this one of my fave of his books) is that this also incorporates a mystery surrounding a sacred serial killer. I love books like that, and Sidebottom clearly need to branch out, as this book was gruesome and complex beyond his others. This, after maybe book 2 or 3, is my fave. Oh,and the solution with the native conflicts s brilliant too. 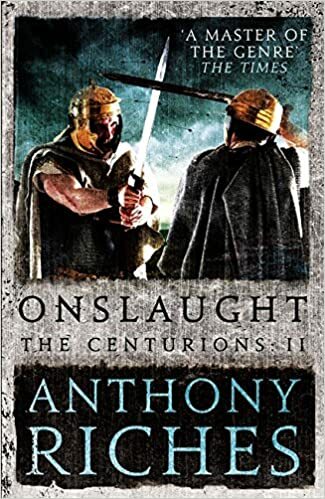 Book six begins Ballista’s family back in the North facing the legions of the usurper Postumus, which was fascinating to read. Freshly returned from the east, Ballista is sent by Gallienus to solidify the support of the tribes who are currently in sway of a pretender emperor. Ballista is sent north, travelling through dangerous unknown lands with crazed natives, into the world from which he once came. The journey is much of the book, and when he arrives the world he left is no longer there. The grand change here between the world of Ballista’s youth and the current is enough to make the reader quiver. If anyone wants to find out more, head to York this weekend, where Harry will be in the author tent. Don’t miss this opportunity folks, if you’re on the area. Whether you’re a reenactor or a historian or a writer or reader of Roman history, you will have come across this weapon. Along with the gladius, it is the staple of the Roman soldier. 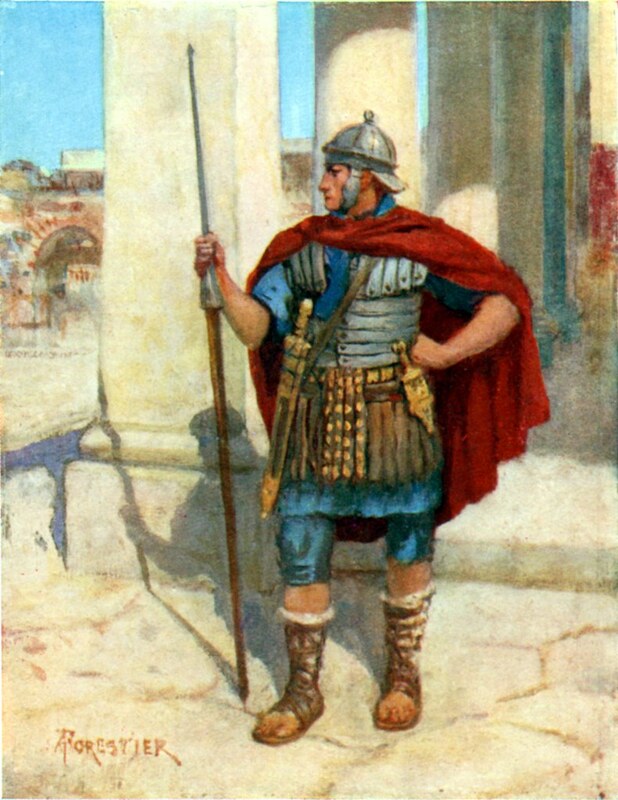 In fact, given the varied evolutionary form of Roman swords, the pilum might be the ONLY staple. Prepare to have your horizons broadened once more. 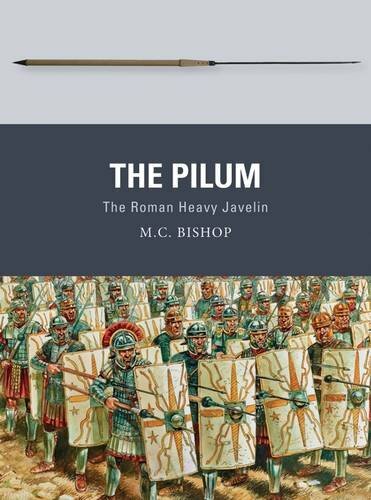 I thought I knew quite a lot about the pilum. I was, of course, wrong. I suspect Mike Bishop counts ancient Roman military facts to fall asleep at night. By the time he moved into long trousers, he was already more knowledgeable than I will ever be. Osprey produce some of the very best works of military history. Bishop produces the best in Roman text books. The combination is always going to be good, as was proved in his earlier outing with the gladius in the same series. This book opens by shattering the common myths of the weapon. The book moves through the disputed origin of this most infamous weapon, into its development and the many changes it underwent during the great length of Roman military power. Even relatively unexplored aspects such as the ‘throwing strap’ are dealt with – and this is something I only came across a year or two ago in my research. The section on the pilum’s construction and manufacture is detailed enough that the reader (if he was more competent than I, anyway) could go away and make a pretty good example. Other sections cover the methods of usage throughout Roman military history, maintenance, ownership, transportation and more. Notably, he even explores the end of the weapon’s usage, its successors and influence, but also the limitations and failures of the weapon. One thing that always stands out for me with Bishop’s work is how clearly it is the most explored and reasoned of studious texts. Constantly Bishop compares archaeological evidence with a wealth of primary historical sources, which is as far as many historians get. But Bishop also compares the work of reenactors and utilises common sense and logic to answer questions that none of these sources could do on their own. As such, I trust his judgement on Roman military equipment above all others. And as a final note, the section of the throwing of the weapon makes it look so easy. I’ve done it. It isn’t! Anyway, if you like your Roman history or your military/weapon books, this is a cracking tome. I like my Osprey books, but this is one of the best, and one to which I will repeatedly turn while writing my novels.